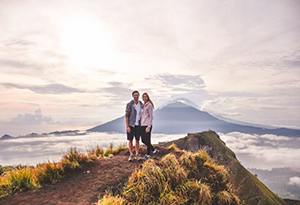 If you’re coming to Bali to pop the big WILL YOU MARRY ME question this Valentine’s Day then make sure it’s utterly memorable by doing two things. 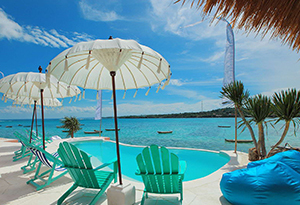 Number one – Rent an incredible villa for the two of you to stay in while you’re on the island. Number two – Choose an epic proposal spot that she’ll remember forever. 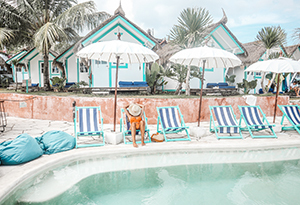 We’ve got the answer to both of these problems with stunning villas and some unique recommendations for day trips full of adventure, luxury, fun or whatever flavour you need to set the scene. For an extra fee we can even organise to have a driver waiting and some champagne put on ice! 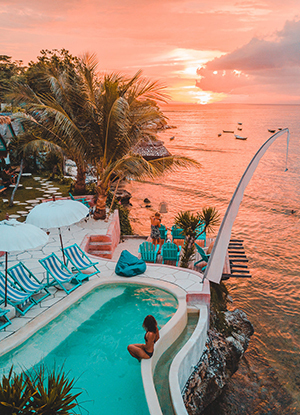 La Pirate is a cliffside boutique club on the coast of Nusa Ceningan, a neighbouring island to Nusa Lembongan. If you’re in Seminyak, we recommend you wake your loved one up early in the morning with a surprise coffee from Revolver. Tell her to pack her bikini then whisk her in air-conditioned comfort to Sanur for the fast boat to Lembongan. 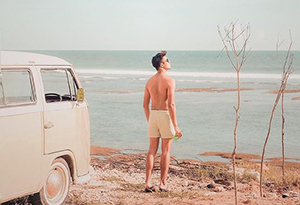 Start with a snorkelling trip to marvel at the giant Manta Ray and laugh at the cute little clown fish, then hire a scooter and tour the islands which are connected by a suspended bridge. Once you’re on Nusa Ceningan head up to La Pirate. 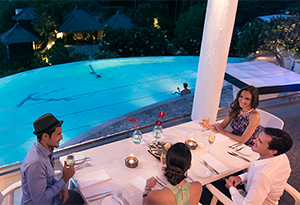 It has a stunning infinity pool where you can relax together and watch the sun go down. Order a glass of wine, and as the purple, mauve and golden skies wash over you both it’s time to pull out the ring! Start early to miss the traffic and take your loved one on a morning ride along the coast of the Bukit Peninsula. In the village of Ungasan, you’ll find Melasti Beach, a quiet spot where you can spend the day sunbathing while you drink coconuts and cool off every now and then in the clear blue water. The sand is pristine white, and during low tide, you can go shell-picking in the rock pools for a special memento. For the proposal, you can set up camp in one of the shallow caves along the beach and drop to your knee, or whisk your girl up to the limestone cliff tops to pop the question as the Indian Ocean stretches out beneath you. 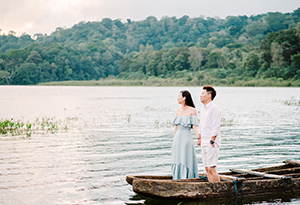 Tamblingan Lake is a quiet and picturesque spot that’s popular for wedding photos as it remains mostly untouched by tourism. Our driver will take you up on a calm afternoon, and you can have our housekeepers pack you a little picnic to enjoy at the lakeside. 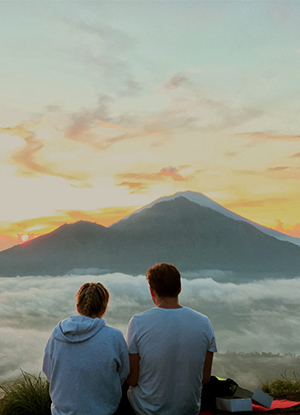 Tamblingan is an ideal spot to sit on a blanket and read together or just be peaceful in each other’s company. If you’re into birdwatching think about taking your running shoes and enjoying a trek through the local forest, then surprise your loved one by renting a rowboat. 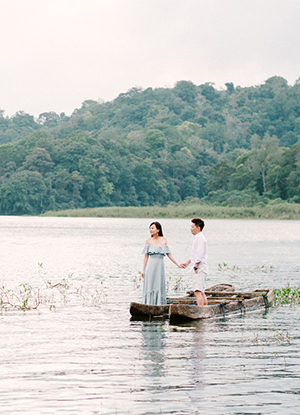 Pop the question right in the middle of the tranquil lake as the water laps around you, and the birds fly above. 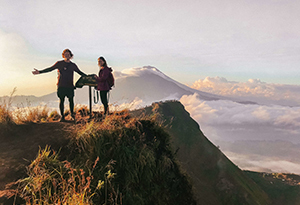 We’ve talked about sunset, but how about a Valentines sunrise on the incredible slopes of Mount Batur? 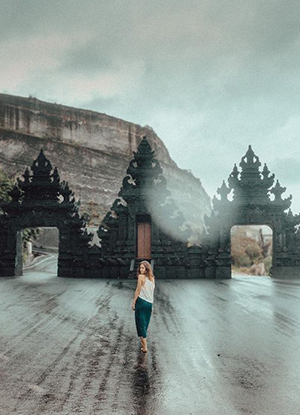 This proposal spot is reserved only for the more adventurous bride to be as you’ll both have to be picked up at 2:30am from your villa to drive up to Kintamani, then summit in time for the sunrise. The trek is about 2 hours in total, and it’s not very hard. You can help your loved one with any tricky bits and give her your jacket once you get to the top. We recommend bringing a raincoat and a thermos of hot chocolate to share. Then, when the sun comes up, it’s time to ask her to be yours forever. 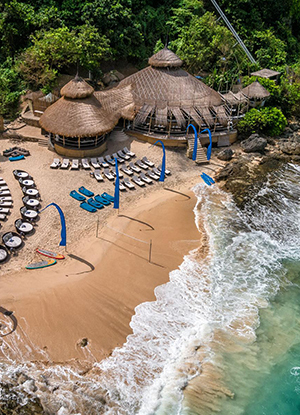 The beach clubs in Bali are legendary, and Karma Kandara is one of the best. It’s an exclusive and impressive way to mark the Valentine’s Day occasion and turn your girlfriend into your fiance. You can spend the day together in a sun lounger with a fresh, fruity cocktail in hand and a cool breeze coming in from the sea. This hidden beach paradise is nestled at the foot of a limestone cliff and can only be accessed by a private inclinator. 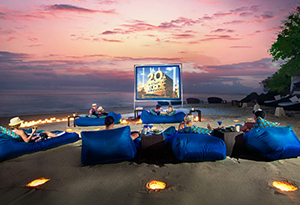 Karma Kandara does an incredibly romantic dinner for two, and every Monday night they host a movie night under the stars. It starts just after sunset and is a great place to snuggle before you ask her to marry you. Whether you’re proposing or not we’ve got a range of wonderfully romantic villas to host you this Valentine’s Day. Our drivers and housekeepers will need a little bit of notice if you want picnics and road trips, but nothing is too hard to make a romantic date go off without a hitch. 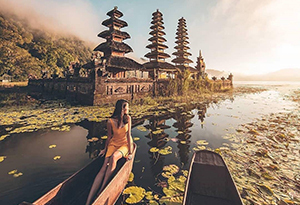 Check out our range of villas here and may your Bali trip an absolute joy in 2019.